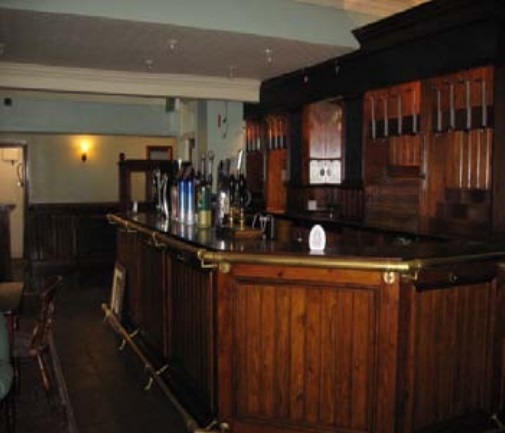 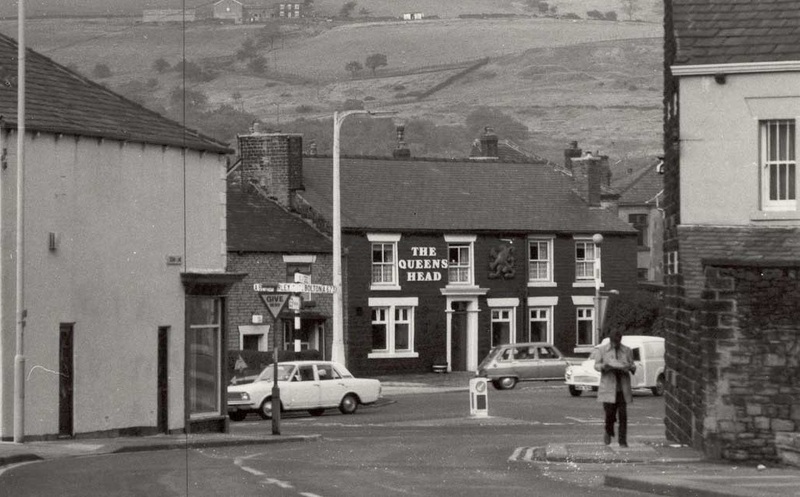 The Queen's Head was one of Horwich's oldest drinking houses; built sometime between 1845 and 1851 it remained in business for over 160 years until it finally closed in 2013. 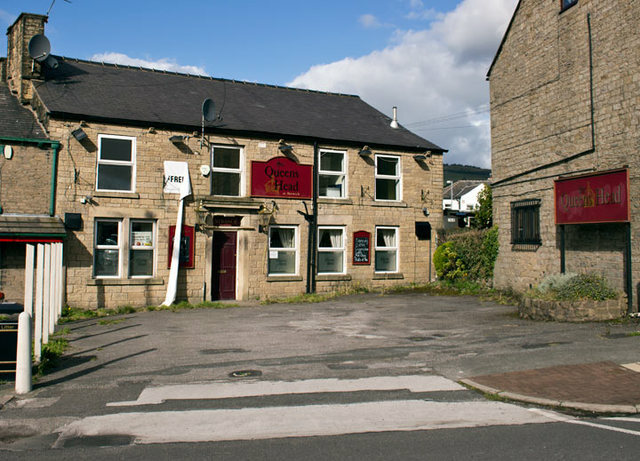 After a few years lying vacant it was bought in 2017 and converted into residential properties. 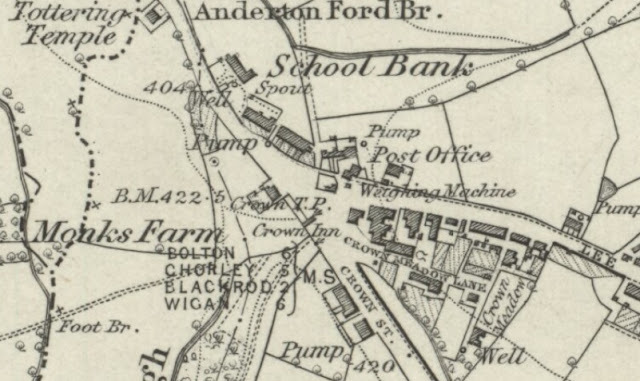 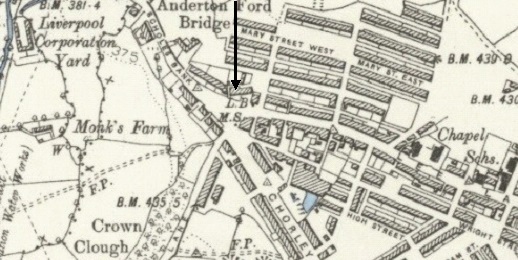 The 1845 map below confirms it had not been built at the time the map was drawn...further down Lee Lane it is also clear that the Bowling Green had not yet been built. 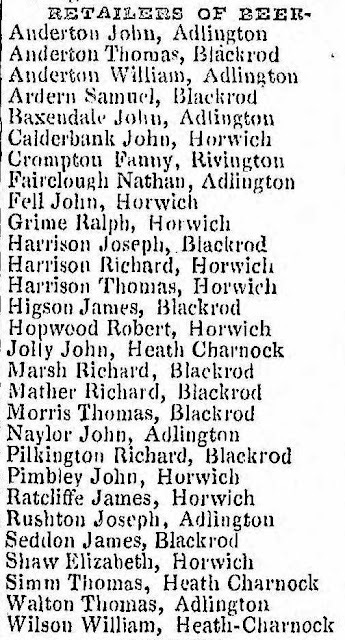 Listed landlords were John Fell (1851-55), John Brooks (1861-1872), John Fell (1872), Jeremiah Edwards (1872-), Thomas Livesey(1881), John Baron (1891-1901), Emma Baron (1901-11) and Robert Baron (1924). 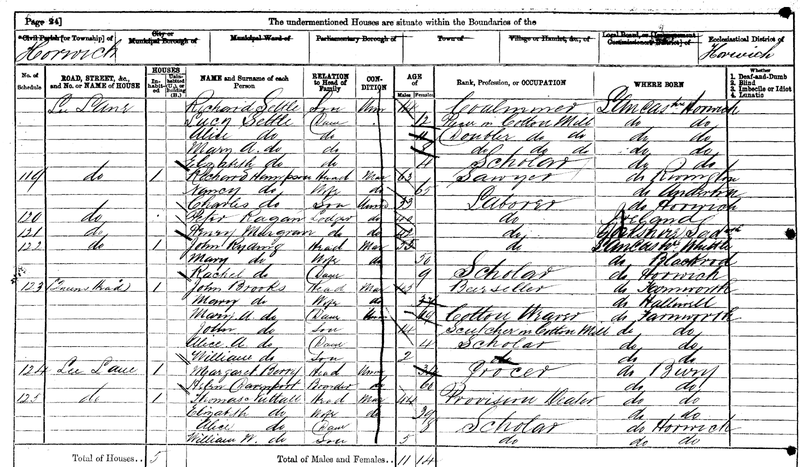 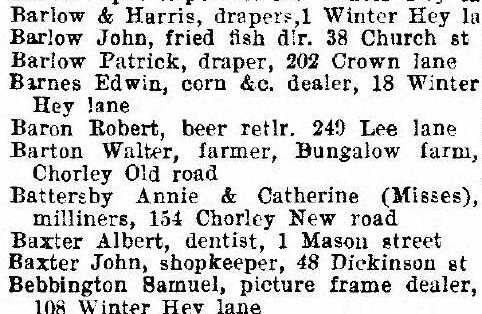 The first listed landlord, John Fell appeared on the 1851 census and 1855 directory as a beer retailer. 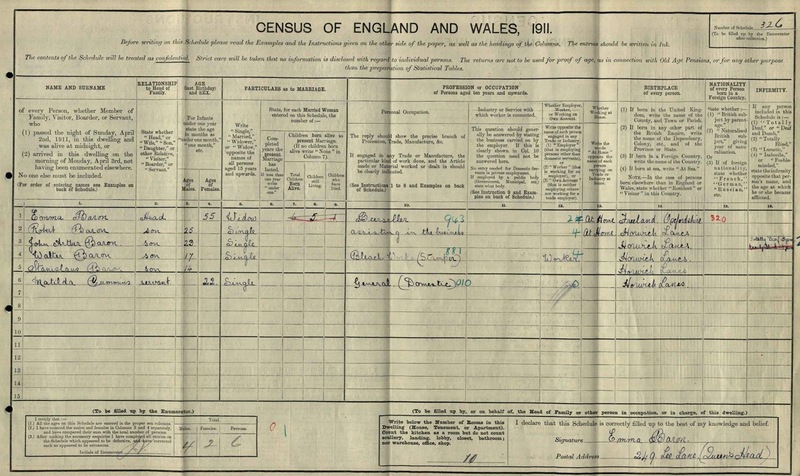 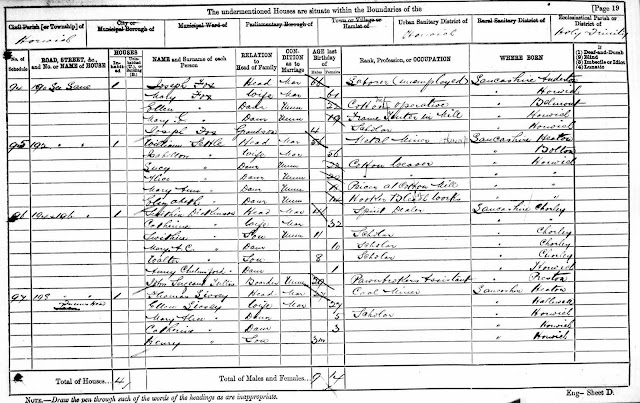 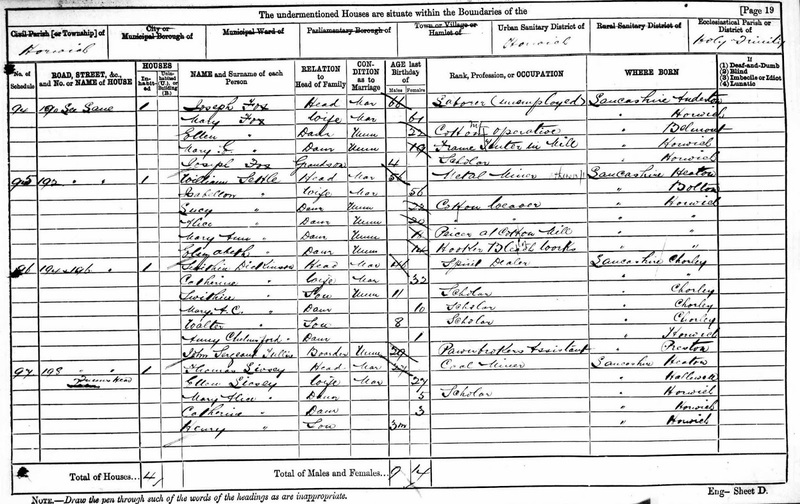 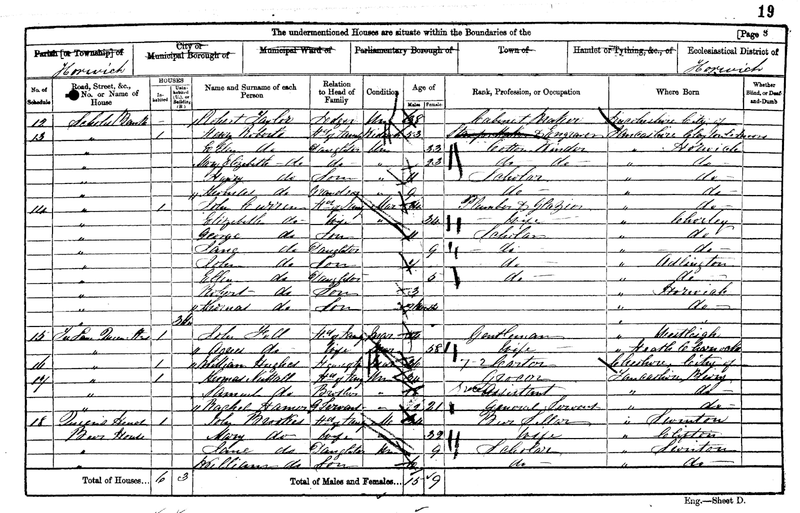 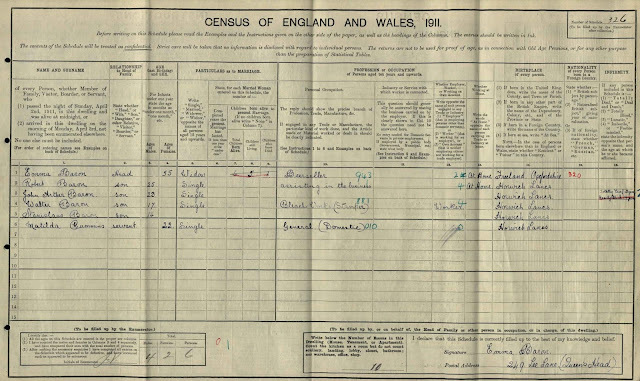 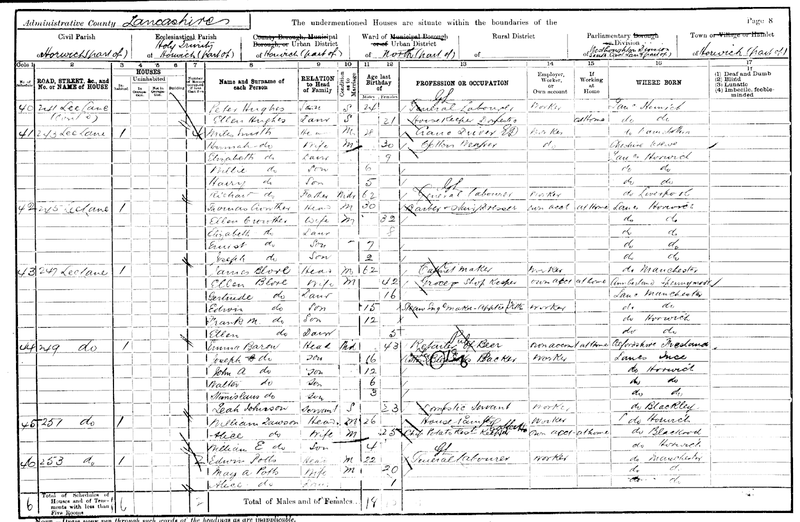 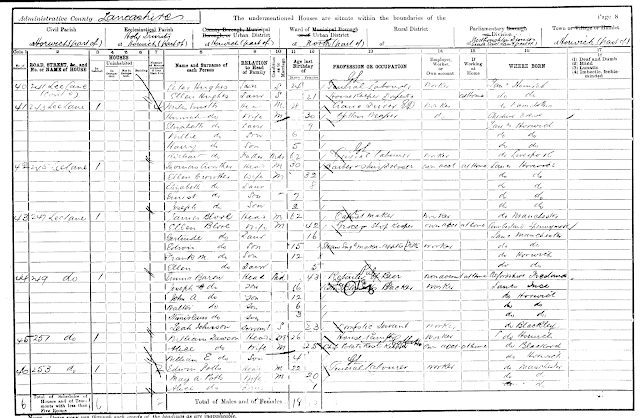 Interestingly, he still appears to have been living at the Queen's Head at the time of the 1861 census when John Brookes is recorded as "beerseller". 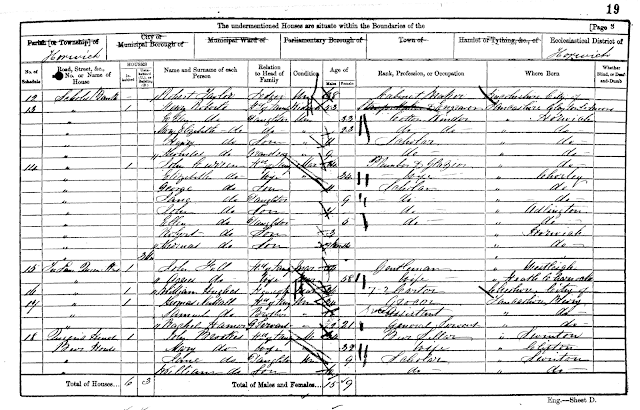 John Fell's occupation is recorded simply as "gentleman", suggesting a higher standing financially, so I suspect he owned the business but by this time John Brookes was employed running it. 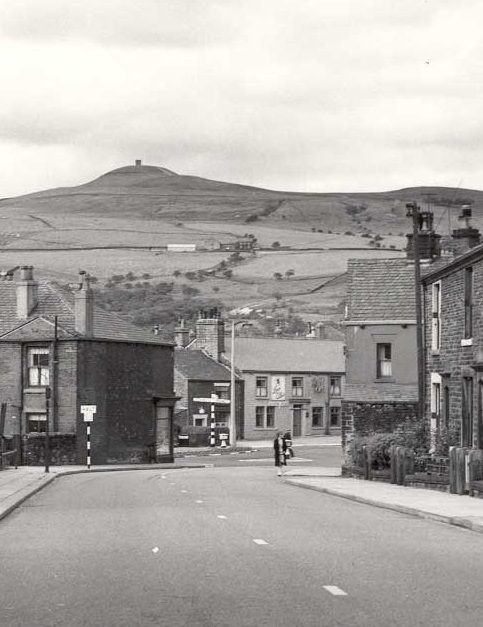 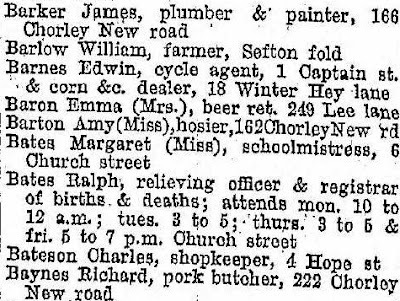 On 6th May 1872 the Bolton Evening News recorded the license at the Queen's Head transferring from John Brooks back to John Fell and later that same year, on 8th November the Wigan Observer and District Advertiser recorded a transfer from John Fell to Jeremiah Edwards. This reinforces my view that John Fell was the owner of the property during this period and almost certainly until his death in 1878. 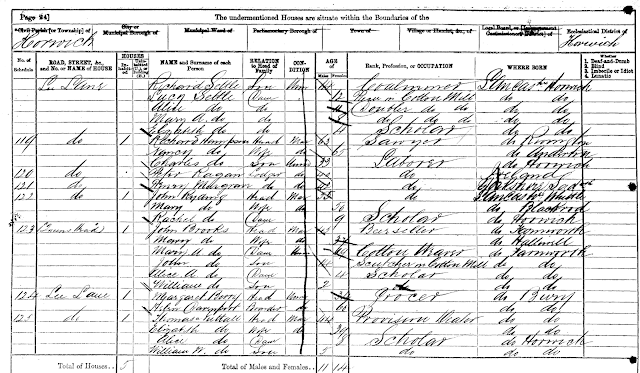 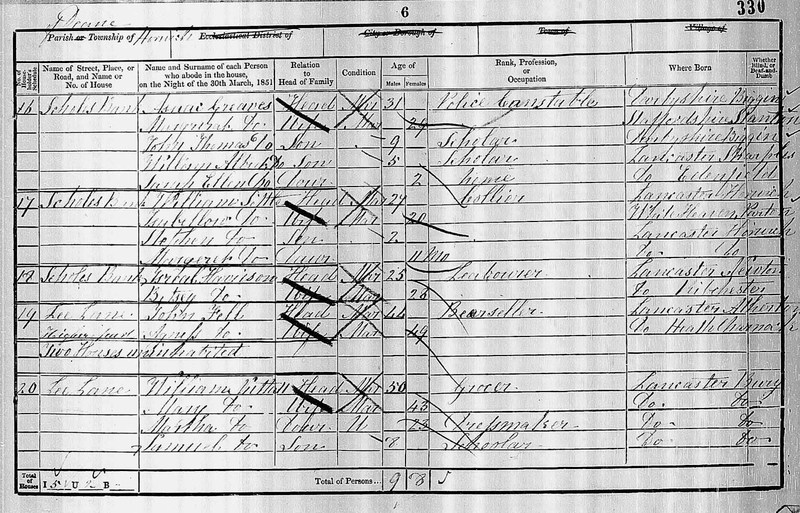 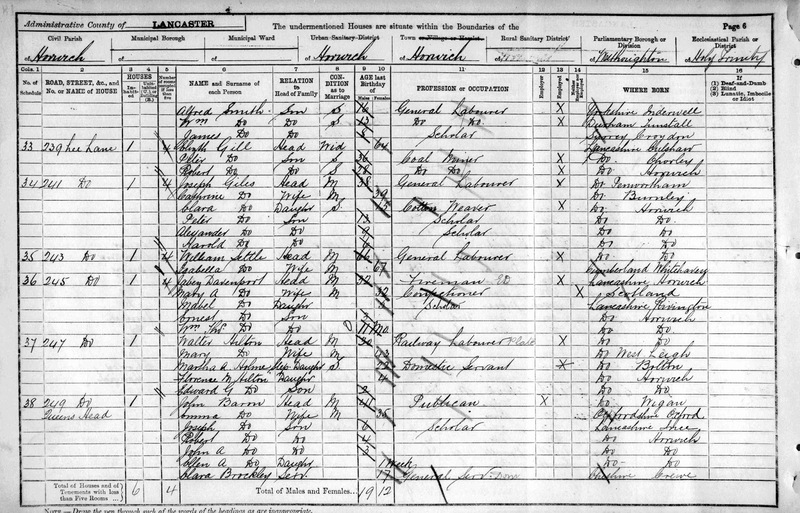 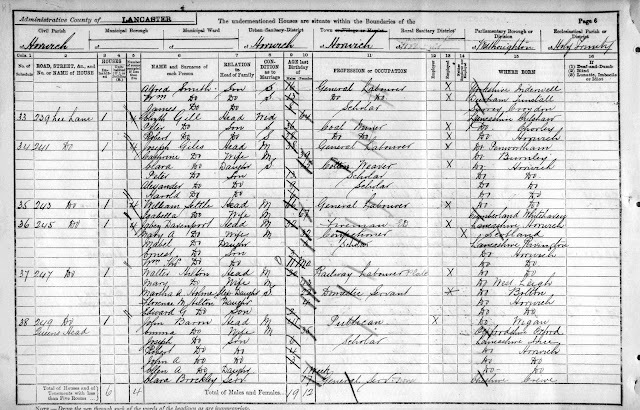 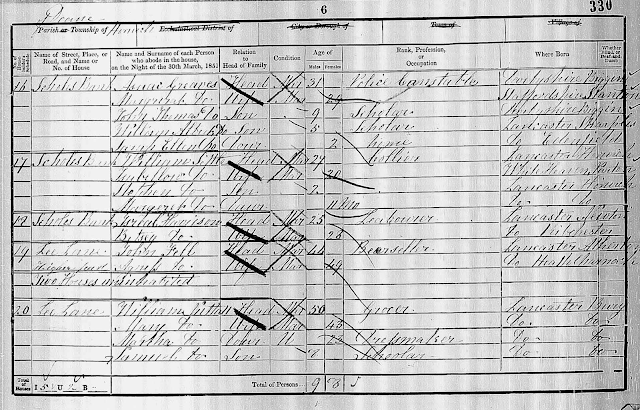 The 1881 census does not record whether the Queen's Head was being run as a beer house, the occupant Thomas Livesey simply recorded as a coal miner. 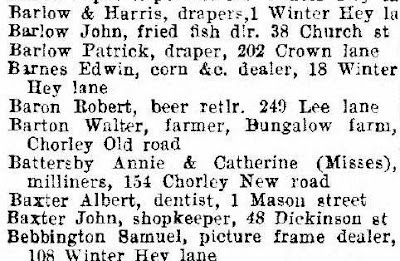 By the time of the 1891 census John Baron was listed as a "publican" and I suspect by this time the Inn had been taken over by a local brewery, Matthew Brown & Co who ran the Lion Brewery. 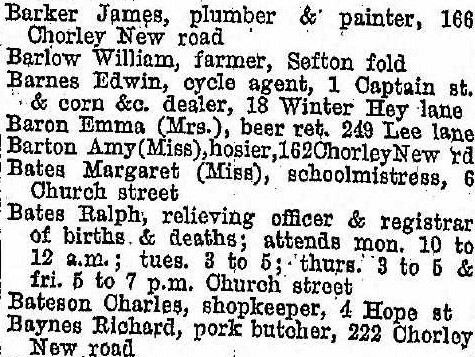 Following John Baron's death in 1901 his widow Emma continued to run the business for the next few decades, assisted by son Robert who eventually took over running the Inn. 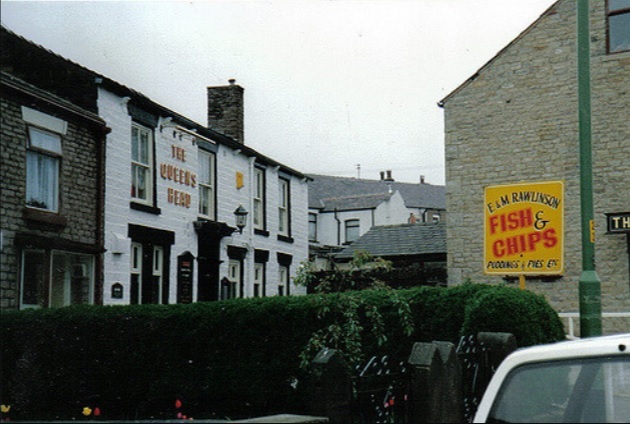 The Baron family ran the Queen's head from the late 1890's until the 1930s, possibly as late as 1939 when Emma died at the grand old age of 84 years.